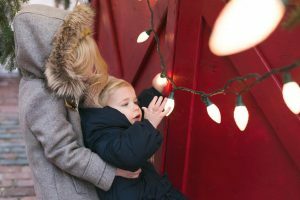 Winter Tips for Any Outdoor Holiday Gathering! California gatherings are often celebrated outdoors. For those of us that enjoy outdoor gatherings, especially during the holiday seasons. Follow these 5 simple tips to make sure you’re the ultimate host. Most importantly get a hold of a fully qualified outdoor makeover specialist. 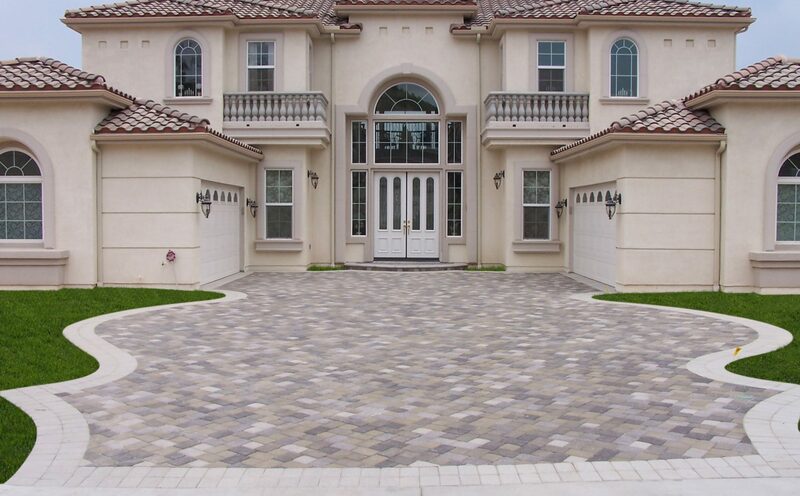 Genesis Stoneworks has been Southern California’s Premiere Outdoor Makeover Specialist for 24 years and counting. Qualified with more licenses than anyone else. Along with over 13,000 delighted clients, Genesis brings your outdoor dreams of a perfect paradise to life. Bring the festivities outside by creating a protected outdoor living space for your family and friends with our patio covers. Whether an attached extension to your home or a free-standing structure, these patio covers provide a safe and inviting environment. 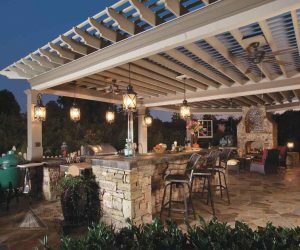 An elegant pergola or patio cover can extend the use of your pool or outdoor living space during those warm California days. They provide loungers and swimmers with a relaxing and shaded area from the hot afternoon sun. As the season changes into cooler weather, the combination of a covered patio and fireplace will keep your guests comfortable while they enjoy your spectacular ambiance and festivities. 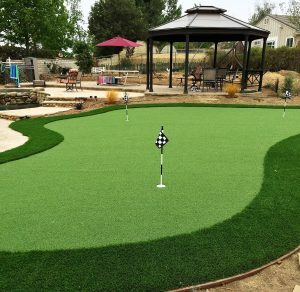 Attractions such as pools or putting greens can take any outdoor gathering to the next level. Putting greens, while blending stylishly into your surrounding landscape, provide instant allure. Another appealing feature may include a center island for your pool. Giving not only a unique quality that sets your outdoor space apart from the rest, but can assist as a platform for tropical plants, rocks and outdoor decor. Alternatively, it may also be used for sunbathing and childish adventures. Never the less outdoor attractions make it easy to keep your guest entertained for hours. Outdoor lighting will not only bring curb appeal to your home, it provides added safety and security. Pathways, steps and all pedestrian traffic areas throughout your property should always be correctly lit. Proper lighting also projects a beautiful aesthetic quality and adds warmth to your home. 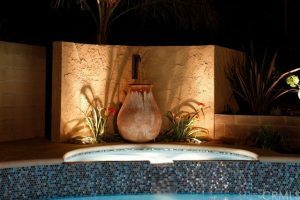 Pools and or spa lighting can add glamorous highlight to any outdoor decor, water feature or plant life. Most importantly, outdoor lighting prevents the setting daylight from stopping your celebrations. As cooler evenings approach, welcome your guests with a warm and bright fire. 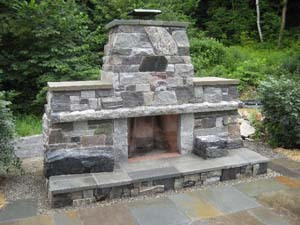 Fireplaces and fire pits can be a focal point for your outdoor gatherings, drawing people together with inviting warmth. They add radiance while contributing a cozy atmosphere making it possible to bring your holiday festivities outdoors.